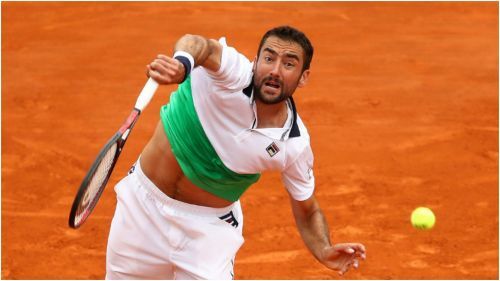 Cilic's exit further opened up the draw for 11-time champion Rafael Nadal, one of only two remaining seeds in the bottom quarter of the draw, as the Spaniard prepares to face compatriot Roberto Bautista-Agut on Wednesday. Elsewhere, 18-year-old Felix Auger Aliassime - a semi-finalist at the Miami Open - set up a meeting with Alexander Zverev after seeing off Juan Ignacio Londero in straight sets. Despite an underwhelming display in his opener, Djokovic was happy to get past Kohlschreiber - who registered a shock triumph over the Serb at Indian Wells - and hoped to build on his first appearance on clay in 2019. "[Kohlschreiber] was as close to a win as I was. If he won this match, it wouldn't be undeserved," Djokovic said. "He played very well. "In some phases, we both made a lot of unforced errors - it was not the prettiest tennis match, but a win is a win. It's a rusty first match on clay this season for me. But I kind of expect that."